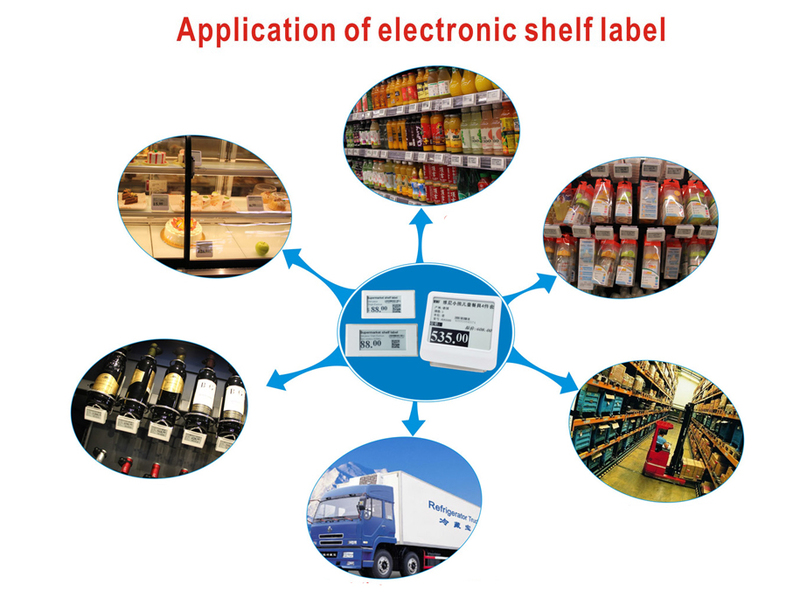 ‍1.What is Electronic Shelf Label? 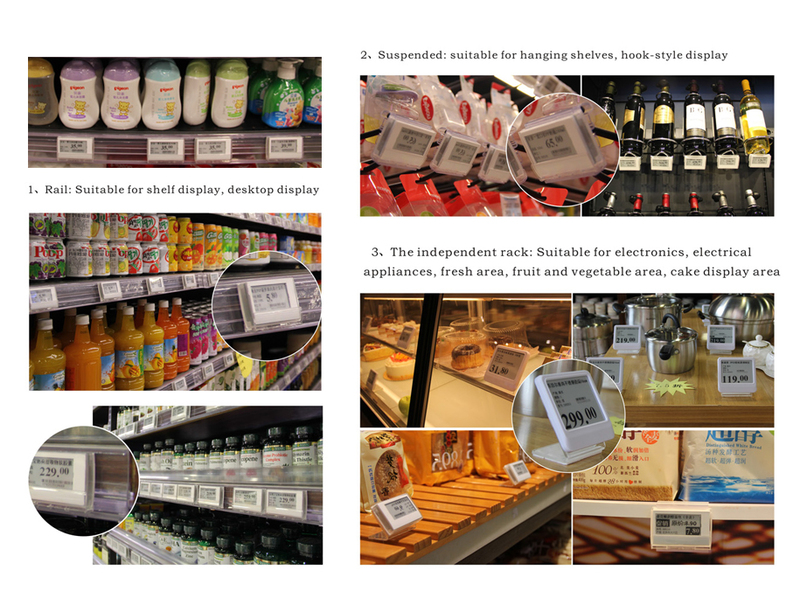 Electronic Shelf Label system is a kind ofdisplay system which can replace the traditional paper label on the shelf. Getrid of the current situation of manually changing the price tag, and realizethe price consistency between the cash register and the commodity price. Widelyused in supermarkets, high-end stores, cake shops, warehousing and logisticssystem. 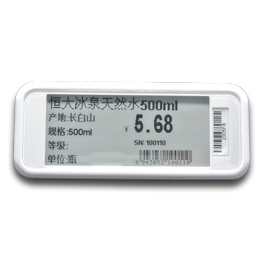 ‍‍‍1.‍‍What include Electronicprice tag system? The system comprising: software, base station, E-tag,scanner. The entire system running transport hub, the use ofindependent communication protocols and network technology; hardware encryptionand data compression technology to achieve rapid, low cost efficient systemoperation. Supermarket business according to actual condition selecteddifferent sizes of the electronic shelf label. The independent communication protocols and networkingtechnologies, hardware encryption and data compression technology to achieverapid, low cost , efficient system operation. Q1: How many ESLs can be refreshed by one STATION one time? A: One station can manage ten thousands of tags (depends on the actual environmental condition). All tags can be controlledfrom 1m to15m by STATION. Q2: What are the advantages of Kaisere ESL solutions? A: With the Patented Whiteon® E-PaperTechnology, Two-way communication、encryption data and anti-collision technologyto ensure security and stability of system, Kaisere will try our best to bringbenefit for our customers. Q3: How long is the life time of ESL? A: The ESL battery can last up to 5 years dependon the refresh rate a day. Once the power of cell battery exhausted you can replacethe battery with a new one. Q4: Does the ESL consume much electricity? A: The power consumption of ESL is lower thantraditional LCD panel. It only consumes power when the screen refreshes and noneed to support continuous power to keep information up to date. So it haslonger battery life. Q5: How about the data transmissionreliability? A: It depends on the surroundings of retailstores. Normally One STATION can control 10K ESL within 15 meters. Q6: How about the refresh time of ESL tag? A: The parameters are different from customer’sdemands and the refresh time is not completely same and average wake-up timeset in the ESL system is 5 seconds and another 40 seconds to refresh data. Forlonger lifetime, we recommend longer wakeup time.